That’s a striking figure, yet it’s just one of many that paint an interesting picture of one of the most complex segments in today’s travel industry. With this mind, let’s examine 5 stats about the current state of corporate travel to better understand the needs, desires, and requirements of today’s business traveler. 1). Perhaps the most interesting stat about the current - and future - state of business travel is the number one business travel destination in the world: China. While the United States is currently the top business travel location worldwide, China is expected to surpass the United States in terms of the amount of spending and revenue by the end of 2017. This means travel companies, suppliers, and other network partners who have previously focussed on the U.S. and European markets will have to shift focus and operations to China in order to remain competitive and viable. This shift could mean leveraging new partnerships and collaborations with local suppliers and other players who might otherwise not be included in previous value chains. 2). On average, about 1.3 million business trips occur each day in the United States alone. This is according to a recent Global Business Travel Association survey that also indicated the number of daily business trip is set to increase by nearly 40,000 during 2017. While this statistic doesn’t take into account other international markets, it shows just how critical a component a corporate travel platform can be for a travel company looking to create sustainable growth in the mid and long-term. 3). Each year, corporate travelers take more than 480 million business trips, according to the GBTA. In addition, older, more experienced corporate travelers take an estimated 12 trips per year while younger, newer corporate travelers take roughly 14 trips per year. This means today’s corporate traveler is getting younger and thus has a different set of demands than corporate travelers of years past. 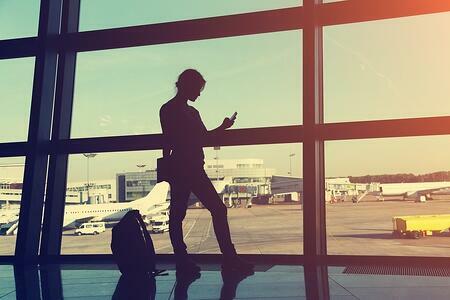 Speed, agility, and transparency are key for younger corporate travelers who rely heavily on the use of mobile devices, social media, and other connected platforms. 4). Millennials are set to take 20 percent more business trips in the next 12 months. Though corporate travel in general in set to see continued growth in 2017 and beyond, millennials are expected to take 20 percent more corporate travel trips in the next 12 months than the next closest market segment - Generation Xers. In addition, much of this increase in millennial business travel is expected to come from emerging markets in Asia and Europe. This means travel agents will have to cast a wider net in terms of appeal, offers, products, and services to appeal to a broader market share of travelers. 5). The average rate of hotel rooms on a worldwide scale is expected to increase between 4 to 6 percent in 2017. This is in large part due to the increase of corporate travelers outpacing the sheer number of available hotel rooms. While the hotel industry is attempting to respond by increasing available bookings and properties, travel companies must work with increasing efficiency to avoid passing these rate increases on to their customers, especially given the rise of AirBnB and other accommodation sharing websites and platforms. While these statistics don’t tell the entire story, they do provide travel industry insiders with a fascinating glimpse as to vibrancy and importance of corporate travel in 2017 and beyond. Travel companies who understand the critical role business travelers play in today’s travel landscape will be better-suited to capitalize on this developing customer pool.